Bake on upper middle rack for 45-50 minutes. Move oven rack approximately 6-8" from broiler and broil to desired crispiness, watching closely so they don't burn. Flip chicken wings over and broil the other side until crispy. The prep for all of the sauces is the same. 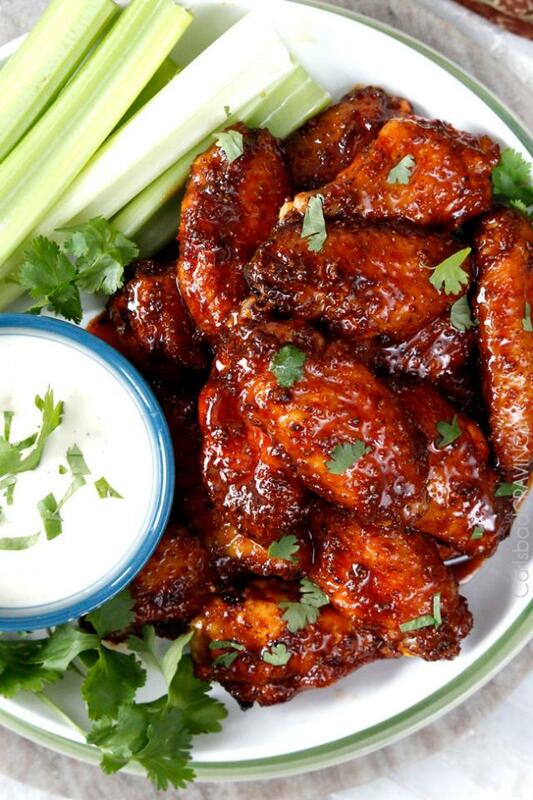 **While wings are cooling, melt butter over medium heat. Add remaining sauce ingredients and bring to a boil, stirring occasionally. Reduce to a simmer until slightly thickened, approximately 3-5 minutes. 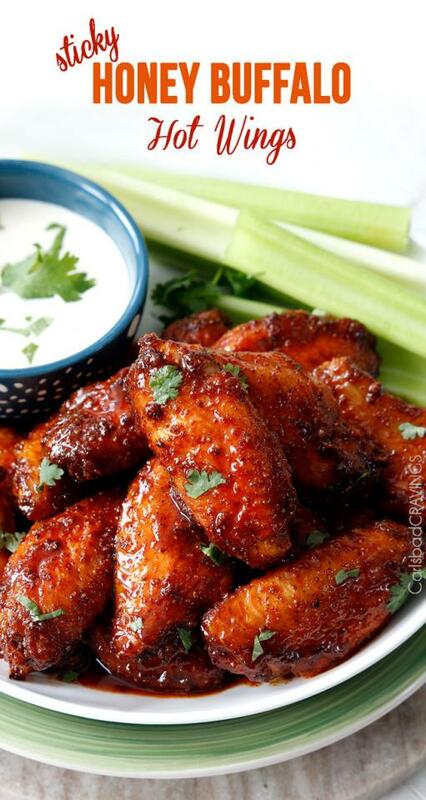 Taste and add additional hot sauce for spicier sauces/more honey for sweeter.